Tiago Lemos is the poppy Brazilian ledge master behind DC’s latest signature colorway for the Plaza TC S, with extra emphasis on “plaza.” These are the cupsoles that Tiago wears every time he comes to The Berrics—navy and dark chocolate—durable with that flick-happy DC SUPER SUEDE. For thos who are not really familiar with Tiago yet: He broke out in DC’s Da Calle/Da Rua full-length last year (also featuring Felipe Gustavo, Carlos Iqui, and Thaynan Costa), and turned pro for Boulevard not long after. In between, Tiago filmed an incredible amount of stuff with us: Run & Gun 2015, BATB9, the list goes on. 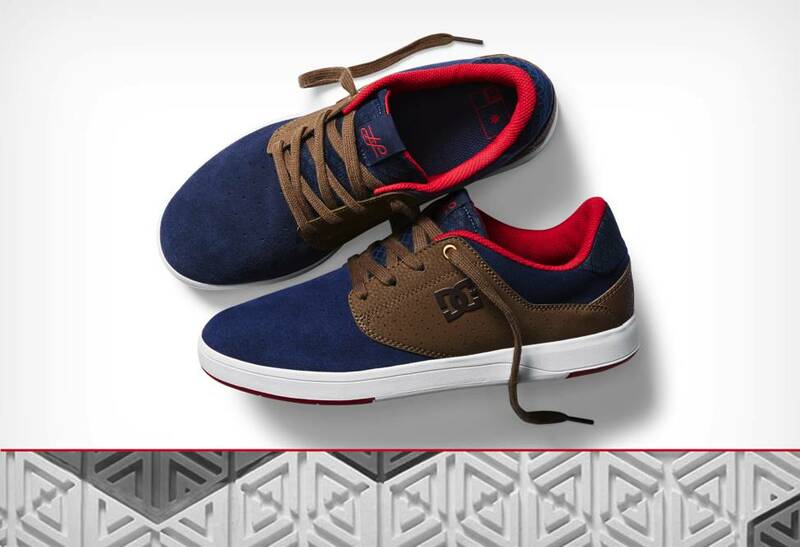 Tiago is always ready to lace up his DCs and get to work!